North America's most popular lunch and after school program. Our goal is to have students playing and singing virtually from the start! We inspire and encourage children to develop their musical skills and talents, while building their self-confidence. TVO Kids at Ukulele Kids club! From Pop to Rock... THERE'S A LOT OF MUSIC IN A UKULELE!! 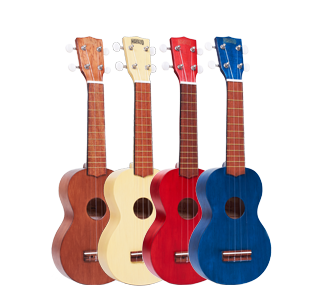 DANS LES COURS DU PROGRAMME UKULELE KIDS DANS LES SIX DERNIÈRES ANNÉES ! POURQUOI EST LE UKULÉLÉ EST-IL SI POPULAIRE? Une transition facile vers la guitare. LE UKULÉLÉ EST REDEVENU "COOL"! notamment, M. Shuester (Glee), Jason Castro (American Idol) et Eddie Vedder de Pearl Jam. Voulez-vous vous joindre à notre équipe?